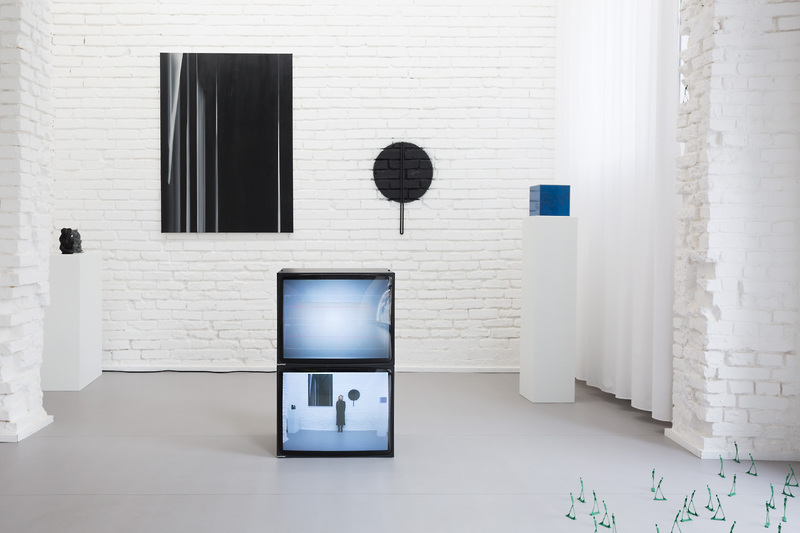 A group show that is searching for what lies between. ‘Volatile Truths’ asks you to focus your gaze on the ephemeral void and perceive the complexities between trust and perception. It wants to see your blurred vision; the uncertainty and ambiguity between your blinks. ‘Volatile Truths’ positions itself in this conjuncture. 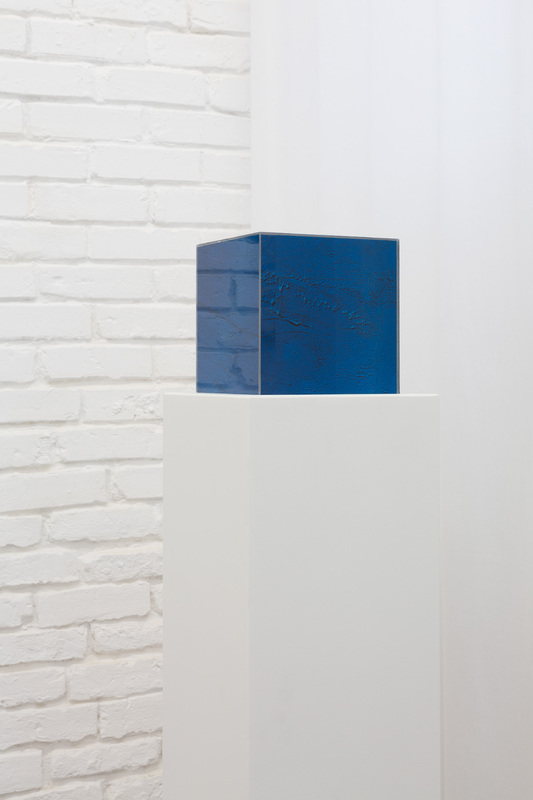 The chosen works are representation, performance, paintings and sculptures of perspectives on truths, in which we strive to position the seekers within the volatility of the truth and it’s contemporary manifestations and malleabilities. 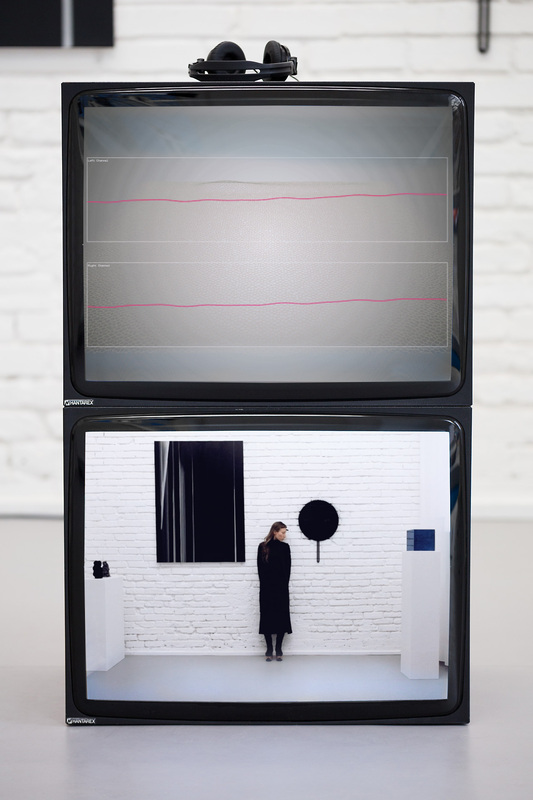 Kim Albrecht — AI Senses 6 tablets, custom software, 2017 The piece AI Senses visualizes sensor data of machines and electronic devices that surround us everyday to develop an understanding how they experience the world. Today machine learning and artificial intelligence are buzzwords. But they are more than that – they influence our behavior as well as our conception of the technologies themselves and the world they represent. A lack of understanding of how these systems operate on their own terms is dangerous. How can we live with, trust, and interact with this alien species, which we set forth into the world, if we know it only through interfaces designed to make the machine unnaturally akin to the world we already know? This project by Kim Albrecht visualizes raw sensor data that our phones and computers collect and process to help us understand how these machines experience the world. The visualizations here explore a number of sensory domains: seeing, locating, orienting, hearing, moving, and touching. Rather than yielding machine’s sensory data in ways that we intuitively grasp, however, these visualizations show us a number of ways in which the machine’s reality departs from our own. Jerry Galle 23 ’ Download 8’47 Video, 3d sculptures, 2015 Jerry Galle’s work is all about the sometimes difficult relationship between digital technology and contemporary culture. He uses software and digital imagery in an unconventional way and stresses the role of technology in our daily life and artistic creation. Digital doubt plays an important role in his work. In a society where doubt is considered to be an unproductive quality, technology with its compulsive efficiency has a pervasive effect on our social behavior. However, when digital doubt is injected into a computer system, strange things happen. 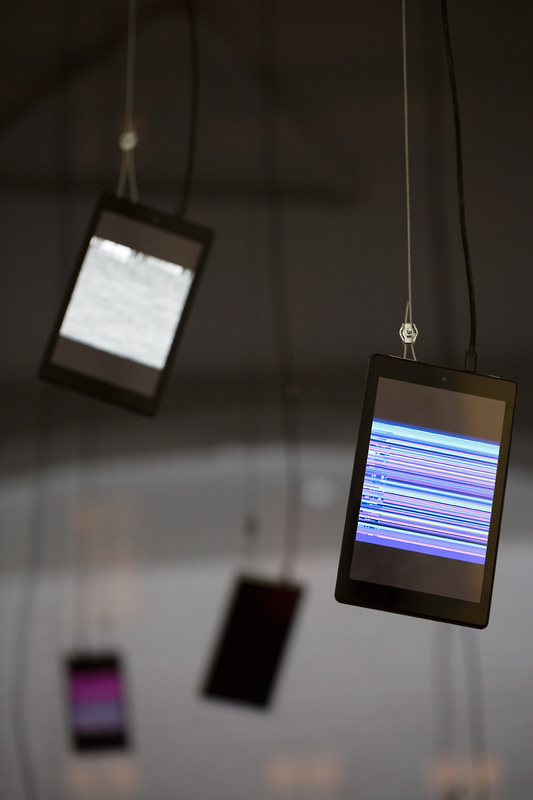 Galle here explores the way how technological images and texts can produce new meaning. These ‘techno-texts’ and ‘techno-images’ can be geometric or symbolic, playful or dead serious. In his piece 23’ Download a terraformed comet gradually approaches in 3D space. The terraformed stone’s trajectory is narrated by computer generated text talking about its imaging and consequential ownership. The approaching shape is the result of a 23 minute mashed up NASA download. 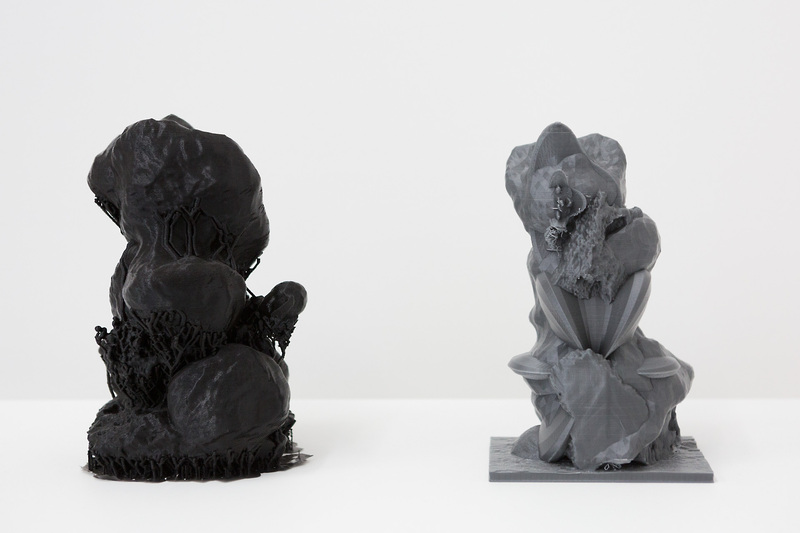 The downloaded files were converted into one 3d printable object with gravity aids, thrown back into space. 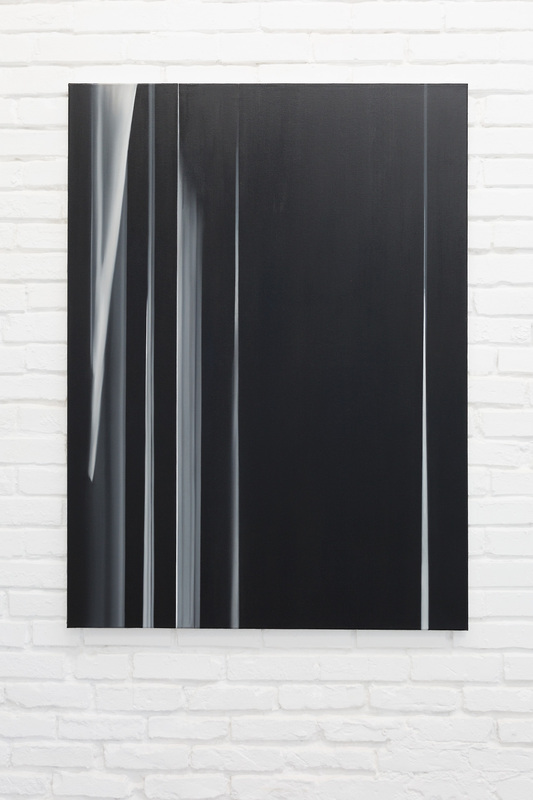 Jerzy Goliszewski — Translator 50 x 78.5 x 1 cm, painted aluminum, spray paint, 2016 The piece Translator is a result of the ‘34th Outdoor Meeting for Artists Using the Language of Geometry’ curated by Bozena Kowalska at the Centre for Contemporary Art “Elektrownia” in Radom, Poland. At this international gathering of artists, most participants spoke either German or Polish and there was a translator there to assist. The hired translator was operating within those two languages but also offered more, like his personal remarks, his own interpretation of artists words and at some point he even started to dominate the discourse and to demand a certain behavior. This raises questions about the agency of the translator and how meaning is generated through subjective interpretation, how much one can deviate from the translatable ‘facts’ for the sake of ‘understanding’. The piece Translator is about this experience of translation, of words but also in a broader sense. It asks what is lost and what is gained in this process of translating and interpreting between languages, cultures and experiences. 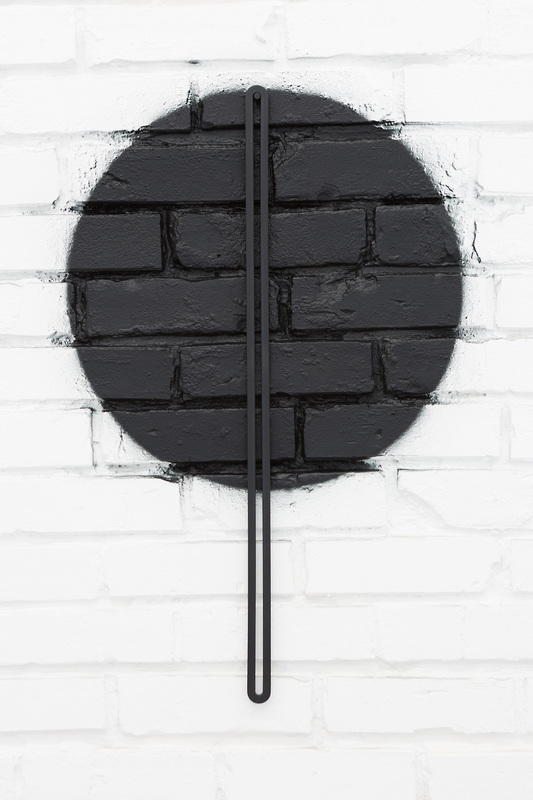 The piece consists of two parts: one is an aluminum frame painted black or white, the other a circle painted directly on the wall with soft edges that changes every time the work is shown in a different place. 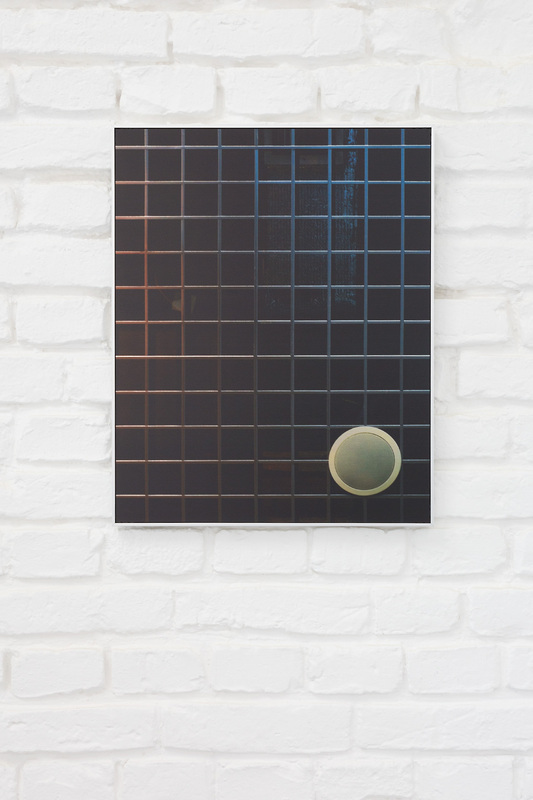 Carmen von Kende — Symphony III 40 x 50 cm, Inkjet Print, Aluminum, 2015/2017 In the photographic series GRIDS, the focus is on the grid in its physical form as a metaphor for the often intangible, invisible structures of the digital world. Since the discovery of perspective in the Renaissance, the grid has been expanding its reach as method for ruling space and representing data. Today it embodies the logic of the digital binary that influences our perception of reality, truth and meaning. It is a ‘Gestell’ (Heidegger), an ‘Enframing’ that lies behind modern technology, one that “sets upon man, challenges him forth, to reveal the real, in the mode of ordering, a standing-reserve.” The grid is omnipresent yet often goes unnoticed. Linear, functional, optimal, mirrored in zeroes and ones; filters, algorithms – the mechanisms of the grid operate all around us. When the grid manifests in real physical structures, there is hardly ever the optimal and more often error and decay. The present work looks at industrial material in public space that shows this im/perfection where information is both concealed and revealed. The ordinary becomes a poetic means to recalibrate, to question how the digital and physical relate to each other and co-exist in a multitude of worlds all visible-invisible. Anna Nazo — An enqury into embodiment of cognition. Experiment I Performance, Performer’s brain activity translated into a digital surface. EEG data via NeuroSky EEG headset. 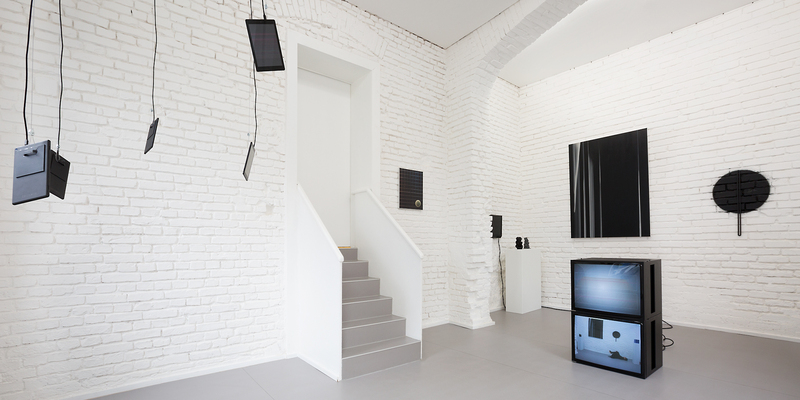 Programming Vincent Rebers ,2016 In her art practice and research Anna Nazo focuses on posthumanism: the human body transition. Her work is placed at the intersection of digital–physical performance, experience, body engineering, environment, and contemporary technologies. 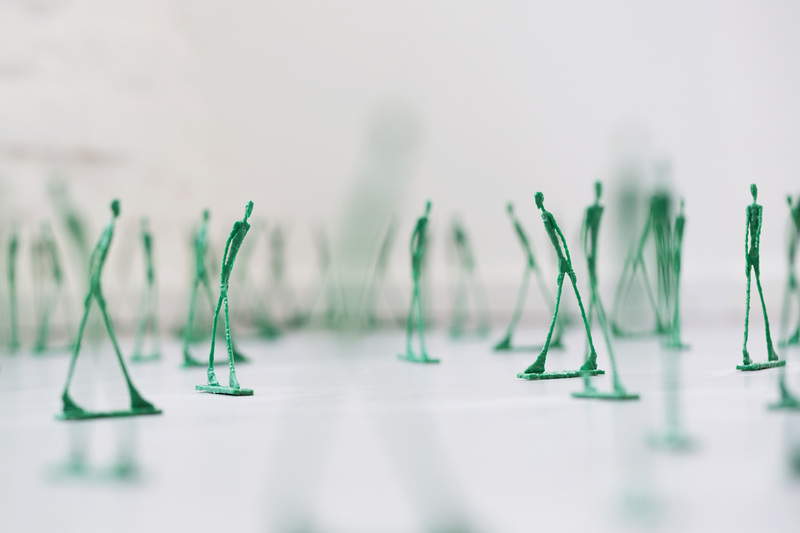 In the piece An enquiry into embodiment of cognition she experiments with the physical embodiment of cognition. Working with EEG data, she creates a metaphorical journey into a human’s mind and personality. She refers here to Hayles' posthumanism scenarios on the fate of embodiment in an information age and the cultural and technological construction of the cyborg, which imagines a triumphant transcendence of embodiment and 'privileges informational pattern over material instantiation'. She furthers these ideas by translating the recording of electrical activity along the scalp into a sculptural responsive surface that reacts to a change of a human’s brain activity – you perform and transmit your own data live. The work uncovers the themes of mixed reality and augmentation in relation to the body. It looks at how the movement affects the performance of the brain, and how the perception of its observation by a performer affects their behavior.